Authorities have arrested a suspect in the Halloween hit and run that left three teenagers dead last Friday, October 31, 2014.. The incident occurred on Friday at around 7:00 p.m. at the intersection of Grand Street and Fairhaven Avenue in Santa Ana, California. Twins Lexia and Lexandra Perez were crossing the street with their friend Andrea Gonzales when they were hit by a car. The driver left the scene and police later found the car at a parking lot. The Honda CR-V had front end damage; the police do not know if the driver had been under the influence at the time of the accident. They did know that there were passengers in the Honda. Later that weekend on Sunday, police made several arrests but only kept the suspect, Jaquinn Bell. His mother, half-sister, daughter and son were arrested, but only he was held and charged with a felony hit and run charge (Vehicle Code Sections 20001 to 20003). Currently he is facing an additional charge of voluntary manslaughter and looking at up to 17 years in prison. (Penal Code Sections 192, 192.5 and 193). Bell has a record in Orange County for driving related offenses. In 2009 he was charged with DUI and driving with a suspended license. In August of this year he was convicted of a misdemeanor hit and run and driving under the influence and was sentenced to 10 days jail. His license has been suspended since October. Felony Hit and Run causing death can cause a person to be sentenced for up to 4 years in prison. Notably, the actual accident which caused the death of the children is NOT the crime in this instance; the crime is leaving the scene. Many accidents occur with the unfortunate result of people dying but that does not make it a crime. Making a mistake also known as simple negligence that results in someone dying is not a crime and is usually handled through the insurance companies like any other car accident as a civil matter. Oftentimes people flee the scene of the accident because they are under the influence. In that case, if the authorities find them to have killed someone, while under the influence, they can also be sentenced to state prison. Importantly, people with prior convictions for drunk driving who commit another drunk driving offense and kill someone may now be charged with murder under the Watson Rule, referring to the case of People v. Watson. A conviction in that instance can lead to a sentence of 15 years to life. 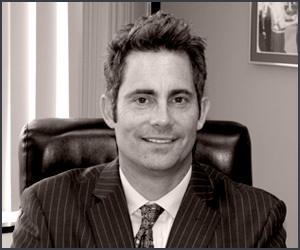 Criminal Law Updates Orange County Law Offices of William W. Bruzzo (714) 547-4636.